I am not one of those homecooked, organic food snobs, however I do enjoy taking the time to whip up fresh food from scratch when I have the time. Nigella calls it her Italian Mamma mode, which I would love to adopt, but have no Italian blood in my my heritage… so I’ll need to come up with something while I knead my bread dough next. 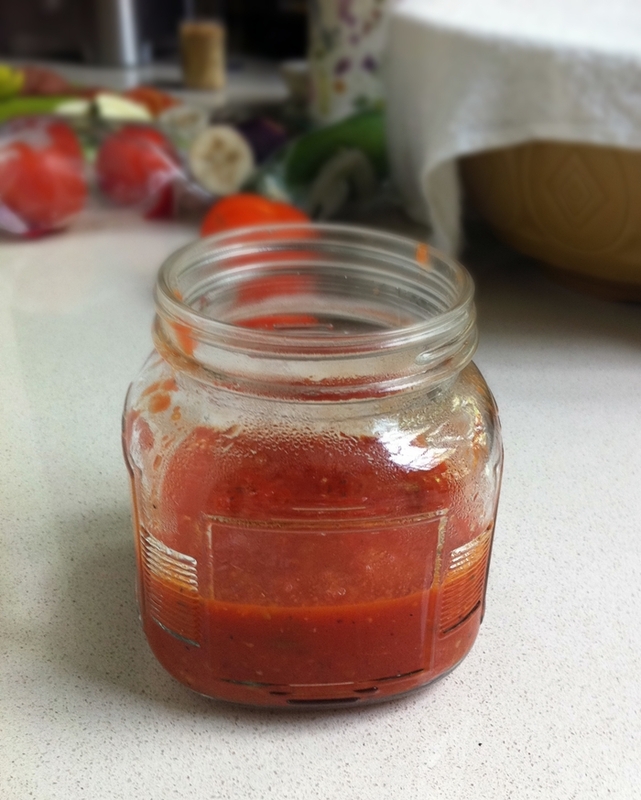 As I have recently finally found a choice recipe for making my own pizza crust, I needed to experiment on making my own pizza sauce! 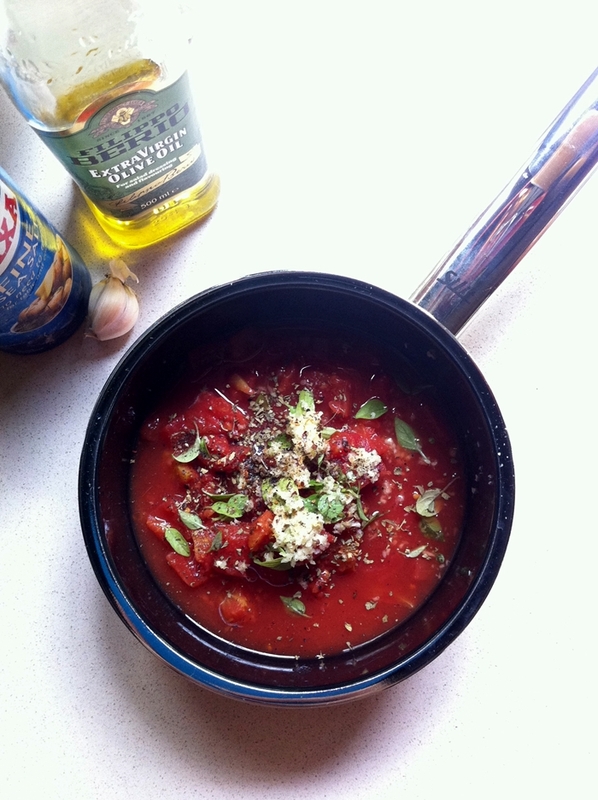 I prefer heavily tomatoey sauces, have always leaned towards marinara sauce as my favourite, and thought… if it works on my pasta, it should definitely work on my pizza. This is a ridiculously easy pizza sauce to whip up, you should have all the ingredients stocked in your pantry already, but even if you don’t it’s no trouble adapting it to what you do have… or just running into the store for 5 minutes to grab the stuff. You don’t even need a basket to carry the ingredients! Mix all the ingredients in a medium sized saucepan and bring to a boil, once it starts to bubble, lower the heat to a simmer and cook for 15-20 minutes. When the flavours have all blended (be sure to season to taste), transfer the mixture to a food processor and whiz for about 1 minute or less, just to get all the big chunks down. You want it smooth, but not too smooth, ya know? This amount of sauce is good enough for a moderate layer on 4 medium sized pizzas (so double this pizza crust recipe), and will go with most savoury toppings. For Sunday lunch with the family, I made a vegetarian pizza and a pepperoni pizza. With a layer of sauce over olive oiled crust, shaved mozzarella, slices of pepperoni, zucchini, eggplant, and then more mozzarella… my brothers loved it! I’m actually quite surprised at how easy pizza is to make from scratch, and now that I know this… I can’t wait to recreate some of my favourite salads as pizzas.